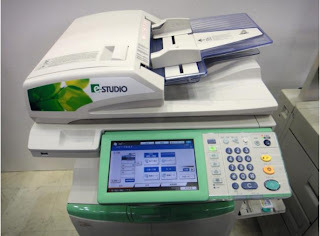 TOSHIBA developing Photo Copy Machine that can Delete the Printed Text even after it has been Printed...!! Toshiba Tech has come up with an innovative idea that can help us save lot of papers. It is developing a revolutionary copier system that can erase printed text from regular copy paper. The technology behind this makes use of a special erasable toner. So when the printed page is passed through the color erasing device, the printing disappears and the paper can be used again.